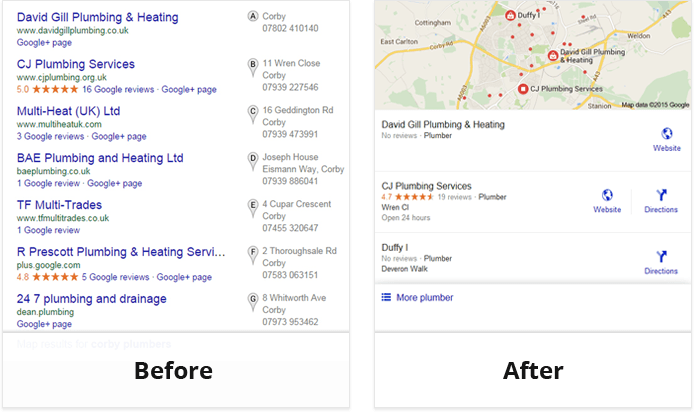 If you’ve paid a close attention on Google lately, you might notice that one of the significant changes is in the local results section of Google search. The local results used to display 7 local businesses to answer location-based queries. But now the amount of results displayed are down from 7, to just 3. 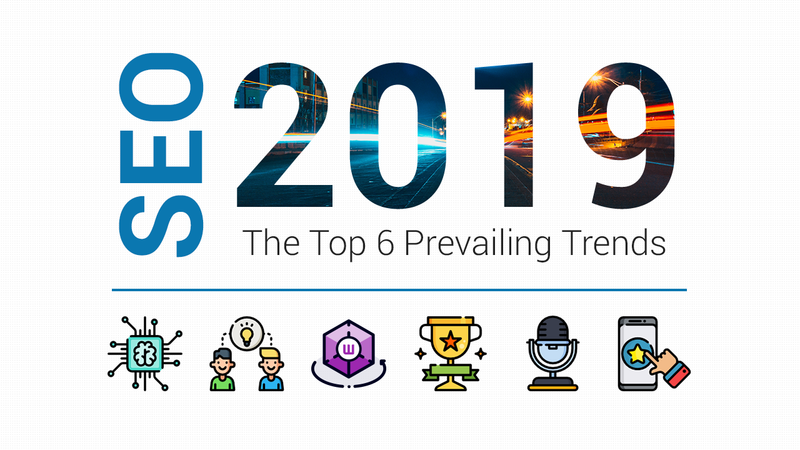 The implications are not hard to guess – More traffic and exposure for the top 3 results and less for the rest of the entries. The new 3-results local pack means that businesses that previously ranked in 4th to 7th position will lose immediate visibility. So while you might be comfortable at the fourth or the fifth place before, you might want to gear up and reclaim your place in the front page of Google results. But how exactly do you do that? While conventional SEO wisdom works on normal searches, local result is an entirely different dimension. 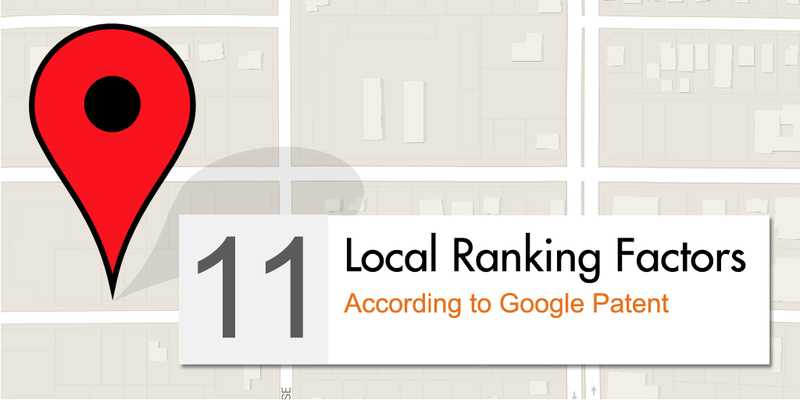 Google uses completely different equation when it comes to ranking local search results. Local Prominence Score: Google gathers all the results located within the immediate area around the user/query and rank them using Local Prominence Score. Distance Score: A different type of local search. Usually when there’s not enough results from within the immediate area around the user/query, Google will instead include results from larger area, but ranks them based on their distance to the user. Nearer results will be prioritized and ranked higher over farther results. There’s not much you can do with your Distance Score as your business location are pretty much fixed. But the very least you can do is to properly setup your basic Local SEO. Setting up your Local SEO basically means including key business information in your website to be picked up by Google. These includes NAP (Name, Address, Phone), type of business, operating hours, contact details etc. You can easily implement this using SEOPressor Connect Local SEO feature. While you can also do this manually, SEOPressor Connect designed the feature based on information used by Google in their local search result and Knowledge Graph display. 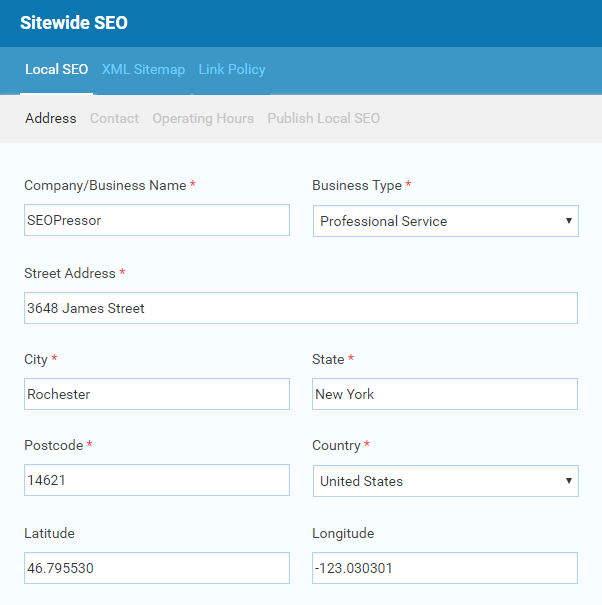 SEOPressor Connect allows you to setup your Local SEO easily. This increases the likelihood for the information to be recognized and used by Google as well as keeping them consistent. 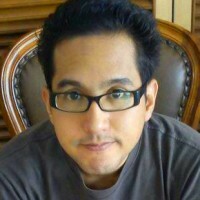 Local Prominence Score though, is where you can get a lot of good opportunities for optimization. But how does Google calculate Local Prominence Score? What are the factors affecting this score to get your website to rank better in local search results? In the support page, Google states that the factors includes “information of a business from across the web” such as links, articles and directories. They also mentioned that they are trying to reflect businesses that’s prominent offline the same way on the ranking as well. And the most interesting part is the end note – “we do our best to keep the details of the algorithm confidential in order to make the ranking system as fair as possible for everyone.”. This line basically tells us if we know what the algorithm is about, we might get ourself some unfair advantage. But the problem is, Google isn’t telling. The good news is, I found spot-on clues on the details of the algorithm in one of Google’s own search engine patents. The patent is titled “Scoring local search results based on location prominence” and it was published on October of 2011. Patent lingo can get quite confusing so I’ll try to break it down as simple as possible. This factor talks about “authoritative documents”, which refers to websites identified as the website owned by and represents a business online. Part of the Location Prominence Score is based on the score of a business’ main website. What kind of score? The patent mentioned “link-based score” which most probably referring to a website’s PageRank score – Google’s link-based ranking algorithm. PageRank or the link-score of your own website is well-known to affect your regular search ranking but it also affects your ranking in local search results. So proceed with the usual link building and link earning techniques to improve both of your generic and local search results. At first I thought “referrals” means to websites linking to a business. As I went through the details this turns out to be not the case. Number of referrals means the amount of websites simply mentioning a business’ Name, Address or Phone in the content. So the more mentions your business have, the more it will improve your Local Prominence Score. You can’t force people to write or mention about your business so the best you can do is to give good service worthy of a mention. Encourage your customers to write about you if they are satisfied with the service. Another method you can try is by issuing press releases whenever something significant happens in your organization. Press release services such as MarketersMEDIA allows you to distribute releases to a number of different outlets and increase mentions of your business from established news sites. Related to the previous factor, instead of the total number of mentions, this factor takes into consideration of the quality of websites referring to your business. This is done by referring to the link-score or PageRank score of the referring website. This factor tells us that not only referrals count, but also who’s giving the referral. Reputable websites tend to have high PageRank score themselves, so referral from them will be weighted more than referral from your everyday blog. “Documents with reviews” refers to websites that lists businesses along with important information of each such as Name, Address, Phone, Opening Hours etc. These are what is commonly referred to as web directories such as Yelp, Yellow Pages or Yahoo Local. The more directories your business are listed in, the better your Location Prominence Score will be. Pretty simple – get listed in as many directories as possible. Submission can be done easily and quickly. Also quite straight-forward. This factor takes into account the value of reviews of the business. Examples are like how many thumbs up, likes or 5 star reviews does a business have in its reviews. Of course, you can’t force people to give only good reviews on your business. The only thing that you can do is to actually deliver a great service to your customers and encourage them. Similar to the previous factor, average review score takes into consideration the average value of all the reviews a business manages to get. The patent actually mentioned that Google might use other functions derived from all of the reviews but the example that was given (and probably used most of the time) is the average. Also similar to the previous factor. Make sure that you deliver a consistently great service to avoid bad reviews to down-weight the good ones. This factor takes into consideration what kind of websites are giving a business reviews. For restaurants for example, the patent give examples that the reviewing websites might be a food blog, a website specializing in restaurant reviews such as Zagat, a city directory (Citysearch) or highly authoritative organization such as Michelin. Different type of websites are scored differently. It’s safe to assume that more reputable source will weight more towards the scoring. Getting reviewed by authoritative organizations alone is an opportunity that’s hard to come by. Even more so getting good reviews from them. But since we know that it can improve your local search results, it might worth the effort of going the extra mile to get them. Seems a bit tricky at first but it’s actually quite simple – according to this factor, Google picks up positive and negative keywords used in reviews to determine its nature. Positive keywords might include terms like “friendly”, “fast service” while negative keywords might include examples such as “dirty” or “noisy”. As with other review-related factors, a good service will go a long way. According to this factor, Google also takes into consideration on how users interacts to a local search result. Having users interacting with your search results like getting more information or directions will improve your Local Prominence Score. Improving your search results can entice users to interact with your results. Your business name is pretty much fixed so not much can be done there. One thing you can do though, is by including a good image to be displayed instead of just a map snippet. You can follow the instructions from this Google support page to do it. According to the patent, “Financial data” includes things like the annual revenue or number of workers a business have. Given that Google stores and sources a lot of information from its Knowledge Graph, these financial data are not hard to come by. You don’t need this patent to tell you to improve your company’s financial strength. That much is obvious. What I can advice is, other than having good financial profile, you also need to make them known so that Google can pick them up. Again, press releases can help increasing the exposure of your company’s financial strength and there’s also many other things you can do to get recognized as an entity in Google’s Knowledge Graph. There’s actually two components to this factor. One is obvious – Google takes into consideration how long have your company been in business. Another point is how long have your business been featured in directories and reviews. Other than the actual age of your business that’s pretty much fixed, it’s a good idea to submit your business into as much directories as possible soon. This is given the fact that Google also look at how long have your business being recognized by others. From this patent, we got insights on how to improve our local search ranking. Some of the factors are fixed, while others can be influenced either directly or indirectly. One thing that can be said for sure is that reviews plays a big role in influencing your Local Prominence Score and hence, your local search ranking. While I can’t offer much on how to improve some of the offline, business-related factors such as delivering great service or inviting reviewers, I do believe that as business owners, you have more knowledge on that department. I hope that this article can provide you with the right direction on things you can improve in order to reflect them in the local search results. Do share if you find this helpful!